This air-conditioned Studio is a private retreat away from home. Very well equipped kitchenette for light cooking: microwave, refrigerator, coffee machine, electric tea pot, rice cooker, Crock-Pot/Slow Cooker, Convection Steamer, toaster, vegetable steamer, electric frying pan, mixer. Custom made wall Unit bed with a size between a full and a queen bed, sleeps two people. Cozy living area with couch, TV, internet access, and comfortable dinette for light eating. The Studio is surrounded by stunning gardens and a private patio/garden area perfect for relaxation or reading. The pool comes with exercise bars. Beach chairs, boogie board, cooler, mask and snorkel and towels are provided for your convenience while touring the Island. 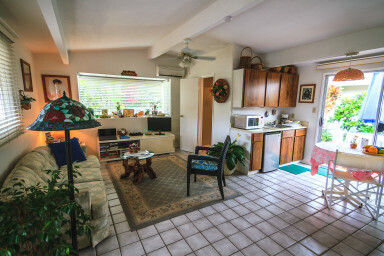 Located in quite area close to beautiful Kailua beach and shopping centers. 5 Minutes from bus stop. The bus system in Honolulu is rated one of the best in the nation for service and convenience. It was our second stay at Garden of Dreams, and everything was exactly as lovely as we remembered from the first time. Everything went smoothly with the arrival, and the stay itself was fantastic again too. If you are looking for a place in a local area away from Honolulu, and want something cosy and snuggly, this is the right place for you. Kiki and Joe are wonderful people who do their absolute best to ensure everything is as described in the accommodation details and are always there if you have any questions or problems, or are just looking for a few tips on what to do and where to eat. We truly hope we'll be able to come back again one day. Mahalo for another wonderful stay in Kailua! Truly a paradise. You can’t beat the location! Everything you need is already there for you, walking distance to shopping and eating, a short drive to the beach and right off the freeway to explore the rest of the island. I’ll be back again next year! Kiki and Joe have a peaceful and relaxing little hideaway in Kailua away from the hubbub of Waikiki. Everything is provided for you to self cater with a good Safeway and Shopping Centre a short walk away. We did not have a car but were able to use The Bus (local buses) to get everywhere we wanted to go. Good value for money with lots of extras provided like beach towels and equipment, kitchen and bathroom basics. A lovely garden and outdoor area to relax in. This small studio had adiquet space, closet space & comfortable bed & setting. Good walking location to the beach & grocery store & some restaurants. Parking on the street. This place provides beach umbrellas, towels, chairs & snorkeling The bathroom is very small though, however they have a bigger private out door shower by the pool area. We enjoyed our stay there. Small unit in a very quiet location. My only bad comment was that the swimming pool could not be used, as they had a problem with the pump. This was one on the major adverts for this property, and was missed badly as the weather was very hot. The bed was a smaller Dbl size.- A tight fit. The bathroom is small,and has tiny, short shower. If you are taller than 5 ft and/or a bit wide, you will have a problem showering. However, there is a shower outside. The AC does not work very well. The sofa is broken down and uncomfortable. U have a small, hotel size fridge, microwave, electric skillet and rice cooker. No stove. It is spacious and very light. Lots of windows with shades. Very nice owners who give you your privacy. Pool is large and goes to 8 ft.- nice....you are NOT allowed to have ANY company whatsoever. That was a real bummer, because we have family there. My husband and I spent our honeymoon exploring the island of Oahu, and used this adorable garden guest house as our home base. It was absolutely perfect for us! Kiki and Joe (the owners) were very sweet and helpful. They provided us with everything we possibly could have needed, including towels, beach items, cooking tools (there's a griddle, rice cooker, microwave etc. (which worked out perfectly for us), good wifi, and MUCH more. The apartment was spotless when we arrived, and also came equipped with guidebooks and brochures to help you plan your days on the island. Furthermore, when we arrived, we were surprised with a gift, including fresh fruit and macadamia nuts! It was very kind and thoughtful. They truly go above and beyond to make their guests feel at home here, and we will be recommending this place to everyone who visits Oahu. Thank you Kiki and Joe for making our honeymoon so special! We will see you again next time we are on the island. Friendly, beautiful, clean place with everything you need! My friend and I really enjoyed our stay here. It had an open and airy feel, all the comforts of home and the owner's dogs even came to visit us a few times! We were missing our own dogs so that was a treat for us. We especially enjoyed sitting outside in the private garden. It was in a quiet neighborhood close to the beach and other services were minutes away. Couldn't ask for more. I would love to go back and stay there again. Everything was quite suitable for the 2 of us. No breakfasts, but a nice basket of fruit and extras in the cupboard was supplied.Movies,books,ample television, comfortable bed that stores out of the way was good.The lanai and the garden surrounding us was great. Quiet neighborhood was good for walking and one could walk to the plaza for meals or groceries. The walk to the beach was a bit further away but one could park in the plaza and then make it shorter. Thanks Kiki and Joe ! We absolutely loved staying here. It really was perfect for the two of us. We walked to the beach a lot, which was beautiful; Lanikai Beach wasn't far away. Joe and Kiki were so sweet and amazing. I would definitely try and stay here again the next time I come visit. I much prefer the small town feel of Kailua than the busy hussle and bussle of Waikiki. I loved this place...everything we needed, and a great private lanai. The owners are great, the area is quiet, and not far out of Honolulu. There was everything we needed in the apartment; very well furnished, and attractive. The owners are friendly and helpful; there were maps and tour guides in the room. I'm recommending this to everyone I know. Great location, Outstanding B & B Owners & Cozy/Clean Place! Wish we could've stayed longer! What a great place for my wife and I. Joe and Kiki were very nice and helpful, the cottage was nice and quiet, and they had beach chairs, ice chests and everything you needed for the beach. We could walk to Kailua beach and the location was very convenient to see the rest of the island. We were also close to Kailua Town, which is a fun, low-key beach town. Kiki has created a wonderful garden to relax in after a long day at the beach. It was a wonderful place to spend my 50th birthday. Definitely recommended for a couple or individual. Thanks again Joe and Kiki. Kiki is a lovely host; the garden she and her husband carefully tend is a wonderful retreat and the room has a bay window that views the garden, but is also quite private. Highly recommended. We thoroughly enjoyed our 3 nights with Kiki in her tidy little cottage. Nice people; nice location; nice experience. The cottage is perfectly situated for a total Oahu Island experience. We recommend it thoroughly. My daughter and I stayed here. Our hosts Kiki and Joe were wonderful. Joe greeted us when we arrived and showed us around their beautiful home and gardens. The studio was perfect. Just the right size for 2 people. We were not there too terribly much as we were always out and about, but everything you could want/need was there. Thank you for your wonderful hospitality, we are already thinking about returning to your Garden of Dreams! Only a short walk from the beach. DVDs of movies made in Hawaii was a really nice touch. My wife and I enjoyed our stay very much. Kiki and her husband provided a very nice economical room with amenities and a flowery garden area. They were also great to talk to and gave us details of things to do in the area. Great Room, Wonderful Location, Nice Owners!! I stayed at D&D Bed and Breakfast for 5 days. It's located in Kailua, an extraordinary town east of Honolulu. I enjoyed every moment of my stay. The beautiful beaches of Kailua (turquoise color of paradise) are just a few minutes walk from the house, and Kailua town is also very close. D&D, the owners are very nice, they will make sure that you feel comfortable. The room is clean, private and specious. I will recommend this room to anyone that wants to experience the real feel of local small town in Hawaii. Truth is not a case of many words: We felt at home from the very first hour after our arrival till saying with a heavy heart - good by. Friendliness does not fully express the character of our host- it was their warmth, their humor and attentiveness which made us feel at home in a very tidy and cosy cottage. We sure will come back to Oahu - and it'll be no question that we will come back zu Garden of Dreams. We really enjoyed our stay with Kiki and Joe. Kiki was very welcoming and hospitable and Joe was very helpful and knowledgeable. We had a great time staying with them and the room was very nice and comfortable. It was private enough to feel like we were on our own yet conveniently located to the places we wanted to be. We enjoyed being away from the chaos of the Honolulu side and yet close enough to drive there within a short time. We will be recommending to anyone that they should stay here. In fact we already have. Thanks again Kiki and Joe. Our stay at Kiki and Joe's Garden of Dreams. What a beautiful place! We stayed in Kailua for one week and hat the most wonderful time at Garden of Dreams. The place is very nice, clean, and you see and feel the care and heart Kiki and Joe put into it. Garden of dreams has everything you need for a stay, from a coffee maker to beach accessories, it is close to the center of Kailua and the beach and it is always nice to chat with the hosts. If we ever should come back to Oahu, we will definitely come back here! Mahalo for this perfect week! We stayed at the Garden of Dreams for the entire month of July. Very glad we did! Our hoats, Kiki & husband Joe, have between them created a high quality & delightful accommodation for both themselves & their guests. Kiki is a superb gardner & the title "Garden of Dreams" is a very apt discription. We particularly liked: - Pool with open air shower cabin having hot & cold running water, so you can just clean up there & not muss-up the bathroom. - Clean & airy bungalow nicely decorated & Murphy bed that folds up to allow more room. - Very quiet. So quiet that we could hear the little geckos jumping on the garden wall. We took most all of our meals on the patio amid the flowers. - Kiki & husband Joe. They're very open & helpful. Shes originally from Belgium & a native French speaker, so you can practice your French while there. He's a retired Marne & skilled DIY'er. In sum, I don't think there is anywhere else we would like to stay when we return. We had a great time staying at the Garden of Dreams in Kailua on Oahu. Our host Kiki and JOe where very friendly and helpful during our stay with them. The room was very nice, private, and quiet. Very different from Waikiki. They provided us with everythhing we needed for the beach and added a bowl of fruit for us to enjoy. I would give our stay there 10 out of 10 for an overall rating. Kiki and Joe are wonderful hosts. The place was clean, well stocked and you had access to the pool and patio area. We felt right at home from the first minute we walked in. We would definitely stay here again. Kiki and Joe were just wonderful! They are lovely people. The studio apartment was just what we wanted. It had everything we needed. Even though the pool was out of order, we were sightseeing so much we did not even miss it! It is so important to have rentals at a reasonable price for people like us who cannot afford the fancy hotels and eat out all the time. This suited us beautifully. Mahala to all! We had a lovely trip. I can't say enough good things about Kiki's impressive space. First thing I have to comment on is Kiki's gardens. They are IMPECCABLE (she would argue this). Kiki works tirelessly to keep them pristine. The fragrance of gardenia and other tropical flowers gently flowing into the sweet, small, clean space of the rental is heavenly. And the accommodations are just what we needed. The tiny kitchen provided enough convenience and refrigerator space to meet our needs on those days/nights when we didn't want to go out (or the rain kept us in!). The little private patio in back is such a lovely place to have a meal or just sit in the morning with a papaya listening to the birds sing and watching the palm trees swaying. One of the highlights for us is the FULL SIZE and BEAUTIFUL swimming pool. We swim laps every day and it was just heavenly. Every building and fence is painted crisp clean white which shows off the lush foliage and ever blooming flowers so perfectly. The neighborhood is very nice, the grocery store is walking distance, and you are 5 minutes drive to downtown Kailua. There are multiple options to stop and walk along the beach, and Honolulu is not much more than a half hour drive across the Pali. Also recommended: Sand Beach. One of THE most beautiful locations on the planet. Kaneohe is a convenient drive as well. I wouldn't miss a trip to Haleiwa Joe's! Yummy cocktails, tasty pu'u pu'us in the most remarkable rain forest setting! And all of this is less than 45 minutes from the airport. And it is one of the most beautiful drives on the island. Within 5 minutes of getting on the H1, you're driving on the H3 through canyons resembling Jurassic Park. And Kiki and Joe are so welcoming, relaxed, helpful and friendly. Much aloha here. Having dear friends in Kailua from my mom living on O'ahu for half my life, we plan to visit this "Garden of Dreams" again and again. This is truly our Hawaiian home away from home. This was my second time with Kiki and Joe and it was as nice as I expected it to be after my first stay. The unit is very comfortable with a lot of little luxuries like the beach chairs and umbrella or a kickass cable tv. Kiki and Joe are lovely and very helpful. I absolutely love Kailua and would definitely like to stay there again. This was our first time visiting Oahu and this vacation rental was perfect. The suite was separate from the main house and there was a beautiful garden surrounding three sides of the suite. We felt the neighborhood was safe and the houses were well taken care of on the block. The suite was clean and the bed was comfy. The bed was a Murphy bed that pulled down from the wall and it was easy to get up/down. Even when the bed was down the suite was still roomy. The kitchen was well equipped and clean. There were lots of options for seating/relaxing in the suite; a little table and chairs in the kitchen, a couch, a chair in the house, or the table and chairs outside in the garden. The suite felt very homey because of all of the little touches. We liked the dÃ©cor and enjoyed listening to some of the cdâ€™s provided. The hosts also provided DVDâ€™s, books (novels and travel books), pamphlets for attractions on the island, bus schedules, beach towels, and snorkel gear. We didnâ€™t get a chance to use the pool while we were there but it looked well maintained. The hosts Kiki and Joe were fantastic! We really enjoyed chatting with them in the yard and they had plenty of good advice for activities to do in the area and on the rest of the island. The location was great and there were some good restaurants within walking distance to the suite. There was also a grocery store within walking distance which was great. The Kailua Beach Park was close to the suite and a great place to do some swimming in the ocean and relaxing on the white sand beach. We would definitely stay here again if we came to Oahu! Affortable Paradise at it's best! My husband and I came to the Garden of Dreams in Kailua for a long weekend after a business trip in Waikiki. What a pleasant surprise to find such a charming, totally equipped cottage without any hidden costs. No amenities fee, no parking fee no outrageous tax like our hotel in the city. The best part was all the little extras that the hosts put into their place. Beach chairs, snorkeling equipment, maps and travel books, fresh fruit, gorgeous flower garden... my only regret is that we couldn't stay longer. We immediately felt like family with Joe and Kiki and most definitely will be back. I was raised in Oahu, so going back for a vacation was a real treat. I knew Kailua was a very pretty side on the island. Lush mountain views, and a small cute town full of nice people. My boyfriend and I stayed at Kiki's home. Actually, they had a separate house for us. It was a perfect little place that felt very cosy. It had everything you need. The garden on the property is beyond beautiful! Not to mention that restaurants are literally down the road. They even have Boston's Pizza! (Used to eat it as a kid in Aiea). Our hosts were very nice and welcoming, but we're also unseen. We had our privacy, and any encounter we had with the hosts were always pleasant. I would definitely stay here again! I've already recommended it to a friend that have plans to go to Oahu soon. Garden of Dreams was the perfect location on Oahu from which to do a week of exploring. Eating breakfast in the garden outside our door was just the beginning. Privacy. Well-equipped kitchenette. Cooler and other items provided for day use. It provided just the Hawaiian experience we were wanting. And our hosts were delightful. So glad I found Affordable Paradise online. My partner and I stayed at Garden of Dreams for a week at the end of January. The cottage is well equipped and Kiki is a charming and generous hostess. HBO was an unexpected perk. We really appreciated the use of beach chairs and snorkeling equipment The beautiful Kailua Beach is a 15 minute walk away so it was great to just be able to load the equipment in the car and leave it there for the week. We really enjoyed our morning coffee and breakfast in our private little garden oasis. We would certainly consider staying in the Garden of Dreams on a future visit to Oahu. We found the lovely studio equipped with everything we needed. Every morning we enjoyed our breakfast in our private little garden. The outdoor shower and swimming pool were great! Beach items (snorkeling equipment, beach chairs, sunshade,...)were also provided. The garden was so beautiful with tropical flowers all over the property. Kiki and Joe were amazing hosts. They made us feel very welcome. We were greeted with a really nice welcome gift and a fruit basket! We can highly recommend this lovely place! Mahalo! Really Lovely Accommodation - So Homely. We stayed at Garden of Dreams for 3 nights near the end of our 3 week holiday. Could not fault the accommodation. Very clean & homely with a most beautiful garden. The owners Kiki & Joe were very nice & made us feel very welcome, even with a little welcoming gift, fruit & nice coffee. There is a supermarket & restaurants within walking distance. The little studio isn't really set up to cook a major meal but there is an electric frypan & a microwave if you want to cook some thing simple. We would definately stay there again. Wanting to stay away from the noise and congestion of Honolulu. We stayed with Kailua at the Garden Of Dreams. The room was very clean and Kiki and Joes is quiet and their flowers are beautiful. Did not spend much of the day here, but it was what we were looking for when we made the reservation. Kiki was helpful in giving us information on the local restraints and beaches. Would not hesitate to stay here again. The only draw back is the shower is small and the shower head positio is low, nothing you can't work around. We loved our stay with Kiki in her special little hide-a-way cottage surrounding by plant paradise! The only problem - we couldn't stay longer. Coffee on the patio each morning in the special privacy of the beautiful flower garden was such a special way to start our day. Kiki has thought of everything - inside the cottage as well as fully equipping you for a day at the beach. You don't want to miss it! It was my 2nd visit in the Farden of Dreams. It's a silent place to settle down and relax and there are very nice, friendly and helpful owners. Mahalo for everything. Garden of Dreams was wonderful - a real home away from home. The suite was well equipped, the garden enchanting, and the pool cool and inviting. Our hosts were very friendly, informative, and generous. I highly recommend Garden of Dreams for a short or long stay in beautiful Kailua. This place was perfect for us! We wanted to stay a little bit off the beaten path. We aren't huge crowd people. This place provided a great "home" for us to go back to on a very short and busy trip. Kiki and Joe were amazing hosts. They made us feel welcome and were willing to help us with anything we needed. We will definitely be staying again in the future! This lovely unit is a great place to stay with top class facilities and lovely hosts. It is well located on the outskirts of Kailua. Lovely self contained unit, included everything we needed. It was valuable having a rental car as this property is located a few miles from Kailua township - a little more than walking distance. Would definitely recommend this as a nice quiet spot to stay. We had a wonderful 5 nights stay at Garden of Dreams. Kiki and Joe were considerate hosts and extremely helpful. 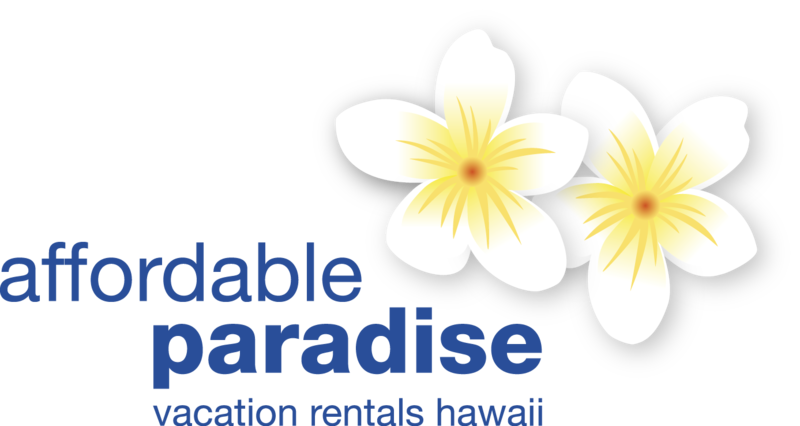 They have everything that you would need for your stay on Oahu. The Garden of Dreams is very well located, close to the beaches, straight across the mountain to Honolulu, quiet neighbourhood, lovely garden etc. You would probably need to hire a car to get around tho. We have no hesitation in recommending Garden of Dreams to any traveller. We have been at Garden of Dream like at home. Kiki and Joe are very nice. Our stay in their home was awesome. They were all time telling us places to visit in Oahu, and helping us for everything. Of course, if we go back to Oahu in the future, we'll stay with they!! Kiora. We really enjoyed our stay at Kiki and Joes place. What a lovely little paradise away from home. We received a warm welcome from Joe on arrival and Kiki made as feel like part of the family. Kiki has thought of everything that you require when on holiday in Hawaii, from snorkelling gears to sunscreen. This private little "get away" is perfect and private and you can come and go as you please. We loved it. Thank you so much Kiki and Joe for making our holiday and stay over a wonderful experience. We spent a great 8 days in this private little hideaway. The suite had everything we required with some extras we hadnt expected. The bed was smaller than what we are used to but we managed. The pool was great and the garden lovely. We were glad we had a car as most of the restaurants were not in walking distance and the best part of Kailua Beach was not within our walking distance. Kailua was a refreshing change from Waikiki and Kiki and Joe made us feel most welcome to her lovely garden. This was our first visit to Hawaii and we thought the Garden of Dreams was good value and an excellent base from which to explore Oahu. Kiki's suite and garden were a dream for a gardener who wanted some alone time at the beach. She is a delight to visit with and very helpful. Everything you might need is there. Great location with stores, restaurants and the best beach all close. Kiki and Joe are the best hosts you can have ! The place was beautiful and perfect to visit Oahu. Mahalo again for everything and the good fruits as we arrived ! Lovely Place and Lovely Hosts! Kiki and Joe have a perfect rental surrounded by stunning gardens. We stayed in their studio for 7 nights. It was equipped with absolutely everything we needed and Kiki and Joe were lovely hosts! We only rented a car for two days of our 7 day stay, otherwise we got around by bus and by bike. We purposely chose a rental that was a little further away from Kailua town. That way we could ride our bikes to and from town for exercise and more adventure. Tip: there is a bike-friendly street (Kainalu Dr) one block inland from Kalaheo Ave (main road into town). We bussed (the #56) into town on the first morning of our stay and rented our cruiser bikes from Kailua Beach Adventures. When we wanted to rent a car for the day, we bussed into town and rented from Enterprise. It all worked out really well and we found that we didn't need a car for the whole duration of our stay. There is public beach access just over the canal that runs parallel to Kiki and Joe's street. This section of Kailua Beach is called Castles and it is absolutely beautiful (and quiet!!). We were the only people on the beach most of the time. Thank you Kiki and Joe for being such wonderful hosts. We would absolutely encourage anyone to stay at Garden of Dreams. It is totally dreamy :-)! It is always nice to stay in "Garden of Dreams". Kiki and Joe are very nice hosts.The apartment is comfortable and very clean. It is located in a beautiful and quiet neighborhood of Kailua. I can highly recommend it. The apartment is very cozy and comfortable for a stay of a couple ideally. A kitchenette is well equipped, only a stove for small cooing is missing. The house is situated in a quiet location, close to a very nice beach (up to 5 minutes by a car) but there are also some stores, a supermarket and restaurants. Irene (Kiki), the owner, she is very friendly and helpful. Can only recommend! We had a very quiet and nice stay in Kailua. Family appartment with everthink you need. Very kind renter. Location is convenient to Kailua Beach but you have to drive or longish walk. The bed is a Murphy bed. The kitchen has a electric griddle but no stove. There is a mini-fridge. Kiki is very nice and there is decent privacy between the houses. The garden is very nice and there is a table to sit outside. There is a nearby grocery store. We had a wonderful stay at this cozy cottage. It's located in a nice quiet neighborhood. Our room was lovingly decorated and a basket of fruits was already waiting for us. Kiki and Joe were great hosts. We really enjoyed our stay and will definitely come back to Garden of Dreams. This was a great place to stay,the owners are great,the room was clean and privet.I will stay there again. The apartment offers a lot of space and everything you need to feel like you are at home. Modern kitchen equipment, a nice garden and not to forget the pool. Both hosts are lovely and help you with everything. Overall it was a perfect place to stay!